LG one of the big names in the industry of Electronics and mobile Technology has yet announced one of his Optimius Family phone's which is Faster, Slimmer and Sharper. 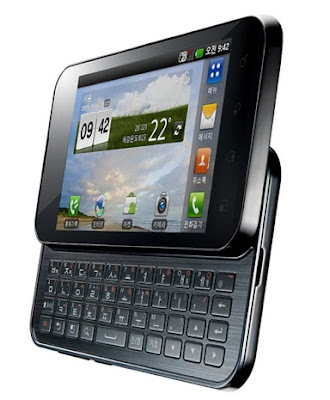 LG Optimus Q2 QWERTY slider has the powerful engine (processor) of 1.2GHZ Tegra dual processors and has the operating system non another Android 2.3. LG Optimus Q2 has a 5 mega pixel camera for better shooting of pictures and recording of videos and has a VGA front-facing camera for video calling.The Korean manufactures has added that LG Optimus Q2 will be 0.35 ounce lighter that is 3.5-inch predecessor and will ship with a wider keyboard next week firstly in South Korea.